If you’re a small community campaign, the #gagginglaw will affect you. I’m annoyed that I’m starting to sound like a stuck record on this blog, but I feel the need to go back to the Transparency of Lobbying, Non-Party Campaigning and Trade Union Administration Bill again because of a potentially explosive confusion that has arisen. No James, the Totley library campaign is not partisan, and the rules in the transparency of lobbying bill (and equally PPERA) do not apply to it. It is blatant scaremongering to suggest otherwise. 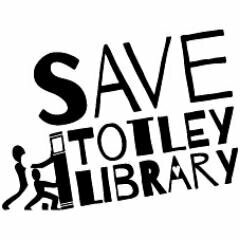 Now, I don’t claim any special knowledge of the Totley library campaign. No doubt the Labour council are claiming they have to shut it down due to central government cuts and the Lib Dems are claiming that it is solely closing because of Labour irresponsibility and opportunism. Whatever. But the argument that the bill won’t apply to such campaigns is dangerously misleading. I make no claim as to whether Otten is spinning here or has been spun to by his constituency MP Nick Clegg’s office, but either way it’s utterly fallacious. 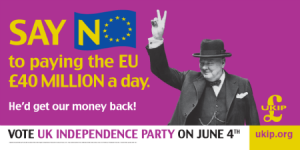 The clue is somewhat in the name of the bill: “non-party campaigning”. “Partisan” campaigning is covered by the Political Parties, Elections and Referendums Act. The reason this bill has been introduced in the first place is that the coalition feels, in its wisdom, that non-party campaigns have been poorly regulated, and are seeking to change that. The minimum threshold that a local campaign can spend before coming under the auspices of the legislation is being cut from £10,000 to £5,000. That will include any in kind or pro bono work (such as legal advice) donated to it. A new per-constituency limit of £9,480 (or, more precisely, 2% of the party spending limit, divided up on a per-constituency basis) is being introduced. If your campaign is in a coalition with another organisation (for example, you are supported by a trade union), the spending limit will apply to all the organisations in the coalition in aggregate. In other words, if your coalition partner(s) spends any money at all in the constituency, your own spending limit will be reduced accordingly. The regulated period will apply for 12 months before an election takes place. So, for the 2015 general election, it will commence in May 2014. Once parliament has dissolved and the “short” election campaign itself has commenced, your group will have to submit weekly spending and donation reports to the Electoral Commission. All of which is all very well, but will it apply to a non-political grassroots campaign that explicitly doesn’t support any candidate? Well, it all depends on whether it is deemed that your campaign has a significant effect on the election or not. Fundamentally, that will all depend on how successful your campaign is. Campaigns that are deemed to not put politicians under any pressure will have, of course, little to worry about. Most campaigns however, at least aim to make an impact. And if you do, while the distinction in your mind between publicly criticising a councillor or MP for failing to support your issue and calling for people to not vote for a councillor or MP for failing to support your issue might be clear in your mind, it won’t necessarily be quite so clear in the mind of the solicitor the candidate your are criticising has paid to write you a stern and threatening legal letter. The Electoral Commission, who will be the ultimate arbiters of this legislation, have themselves repeatedly warned that it is too vague to be enforced. There’s a bit more to it than that – especially if you are based in Scotland or Wales – but in a nutshell that’s why all small grasssroots community organisations ought to be concerned about this bill and the fact that it is being forced through parliament with so little scrutiny (the brief “pause” the government have reluctantly been forced to now observe is little more than a bit of breathing space really). If you want to know more, don’t trust me but go to the website of the National Campaign for Voluntary Organisations, who have a useful list of resources. Of course, take everything you hear from people with a grain of salt. The nature of campaigning is that the rhetoric is often quite shrill. But if your Lib Dem or Conservative councillor tells you that it doesn’t effect you at all, they are either lying or have themselves been deeply mislead.